Should you convert a 401k to a Roth IRA? And if so, how do you go about the conversion process? These are both great questions. Do you meet the current conversion eligibility requirements? Do you have adequate funds to pay your conversion taxes? Do you plan on being in a higher or lower tax bracket in retirement? Do you have other sources of income for retirement? These questions represent just the tip of the iceberg when it comes to deciding whether or not to convert a 401k to a Roth IRA. So before you jump in, make sure you can answer them. Can You Convert a 401k to a Roth IRA? First, it is legal to convert a 401k to a Roth? Don't be confused if you run across conflicting information that states otherwise. It's probably just old information that hasn't been updated. Because, prior to 2008, you could only convert a Traditional IRA, a SIMPLE IRA, or a SEP IRA to a Roth IRA. If you wanted to convert a 401k to a Roth IRA, you first needed to convert your 401k to a Traditional IRA, and then convert your Traditional IRA to a Roth IRA. But post-2008, you have the option of performing a direct 401k to Roth IRA conversion. As a result of the 2008 law change, you are now able to directly convert a 401k to a Roth IRA. What Are The 401k Conversion Rules? Now that a direct conversion is available, what are the rules to convert a 401k to a Roth IRA? Prior to 2010, you can only convert a 401k to a Roth IRA if your adjustable gross income (AGI) is $100,000 or less. Otherwise, you're ineligible to perform any type of Roth IRA conversion. However, once 2010 arrives, the new 2010 Roth IRA conversion rules kick in and the $100,000 AGI limit disappears. This means that anyone, regardless of income, can convert a 401k to a Roth IRA. So if you've been unable to convert in the past due to your high income, 2010 offers you an opportunity to finally take advantage of a Roth IRA. Converting a 401k to a Roth IRA is not a difficult process. 1) Rollover - You can take a distribution from your 401k and roll it over (that's financial lingo for "contribute it") to your Roth IRA within 60 days of receiving the distribution. If you go with the rollover option and you receive a check from the 401k plan administrator, it might only be for 80% of the conversion amount. Depending on the circumstances, your 401k plan administrator is required by law to withhold 20% of your distribution for tax purposes. If they do so, and you plan on paying your conversion taxes out of your personal savings, then you need to remember, you only have 60 days to get the remaining 20% contributed to your Roth IRA before the window permanently closes. 2) Trustee-to-Trustee Transfer - You can instruct the trustee of your 401k to directly transfer funds to the trustee of your Roth IRA account. Usually when this happens, the 401k plan administrator does NOT withhold 20% of the funds, but you still owe income taxes on the full amount of your conversion. 3) Same Trustee Transfer - If your 401k is overseen by the same trustee who oversees your Roth IRA, then you can direct the trustee to simply transfer funds from your 401k to your Roth IRA. You also have the option to simply redesignate your 401k as a Roth IRA, rather than open a new account and/or issue a new contract. Again, even if you choose this method, you still owe income taxes on the full amount of your conversion. Whatever method you choose, tread carefully. Be aware of laws which require your 401k plan administrator to withhold 20% of your 401k conversion funds for tax purposes. Remember, you only have 60 days to contribute funds to your Roth IRA from the time you receive a distribution. If you miss that open window, it closes forever... And you get hit with a 10% early withdrawal penalty. If you convert a 401k to a Roth IRA, in most cases, you'll owe income taxes on the full amount of the funds you convert. So how do you intend to pay the taxes due? Your answer significantly impacts your ability to benefit from a conversion in the first place. 1) Pay It With Conversion Funds - You can use some of the funds from your 401k to pay your conversion tax bill, which leaves you with less money in your Roth IRA when all is said and done. Nevertheless, you don't have to cough up what's likely to be a rather hefty bill. 2) Pay It Yourself - You can pay your tax bill with out-of-pocket funds, either from your current income or personal savings. If you go this route, you'll be able to convert all of the funds in your 401k to funds in your Roth IRA. That gives you a huge retirement savings advantage, but it also proves costly in the short-term since you have to raid your current savings in order to pay the bill. If you choose Option #1 and you're under age 59 ½, any funds you withdraw from your 401k to pay your conversion tax bill are subject to a 10% early withdrawal penalty on top of normal income taxes. And that provides an even bigger hit to your retirement savings. Let's say you're 45 years old with $200,000 in your 401k, and you're in the 28% tax bracket. You decide to convert a 401k to a Roth IRA, which generates a conversion tax bill of $56,000. Since you don't have an extra $56,000 laying around, you use some of the funds in your 401k to pay the tax bill. Because you used that $56,000 to pay your conversion taxes instead of funding your Roth IRA, it's subject to a 10% early withdrawal penalty (since you're under age 59 ½). That's another $5,600 you owe the IRS. Don't have $5,600 laying around either? Well, you can use your 401k funds to pay that bill too. But then you only have $138,400 in your Roth IRA, and you incur another 10% early withdrawal penalty on the extra $5,600. That means you need to come up with another $560. Do you notice a deadly spiral taking hold here? While it isn't always feasible to pay your conversion tax bill with personal savings or current income, if you do, it makes any attempt to convert a 401k to a Roth IRA much easier and a lot less costly in the long-run. Assume for a minute that you do have $56,000 in personal savings, and you have no problem using those funds to pay your Roth IRA conversion taxes. What do you end up with? A Roth IRA worth $200,000. And a $200,000 Roth IRA is worth a lot more than a $200,000 401k, because the former is tax-free, while the latter is taxed every time you make a withdrawal. It should be a tax-free conversion. Because a Roth 401k, just like a Roth IRA, is funded with non-deductible (after-tax) contributions. Since you paid taxes on the funds before you contributed them, they aren't subject to income taxes during the conversion process. But first and foremost, make sure converting is a good idea before you do anything. You might want to reconsider if your only means of paying the conversion tax bill is to dip into your 401k. 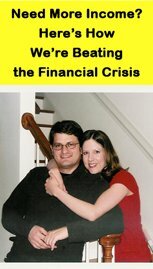 After all, the 10% early withdrawal penalty, coupled with the funds you lose to the IRS, result in a much lower Roth IRA balance, giving you less of an advantage from converting. But ultimately, only you can make the decision regarding what's right for your personal financial plan. If a conversion makes sense to you, go for it!